The Nexus 7 is a fantastic Android tablet for its price. It’s been in the market for quite some time now it’s about time it gets updated. 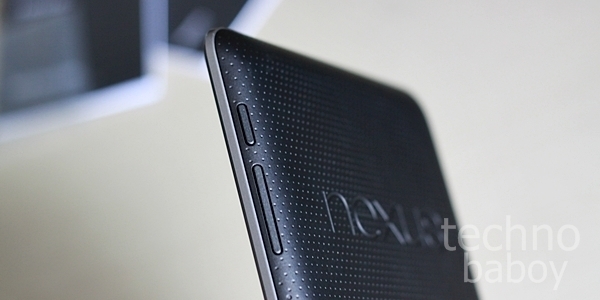 Nothing is official as to the Nexus 7’s successor, not even the rumor that there will be a successor. But an Asus representative allegedly revealed the specs of the Nexus 7 successor and if he is to be believed, we’re looking at a great tablet, assuming of course that Google retains the $250 pricing. These are great specs as most will agree. Almost everything has been bumped from the display to the RAM to the storage capacity and it even has a rear-facing camera now and LTE support to boot. The Android 4.3 bit is believable since Google is known to show off its latest Android version in a new Nexus device. There is a device called ASUS k009 before that is rumored to be the next Nexus device that have gone through the FCC and submitted for Bluetooth certification so this revealed specs could be real, but only time will tell. For now, let’s all take this with a grain of the proverbial salt.